Anastasia Studios & Apartments - Explore the best destinations! 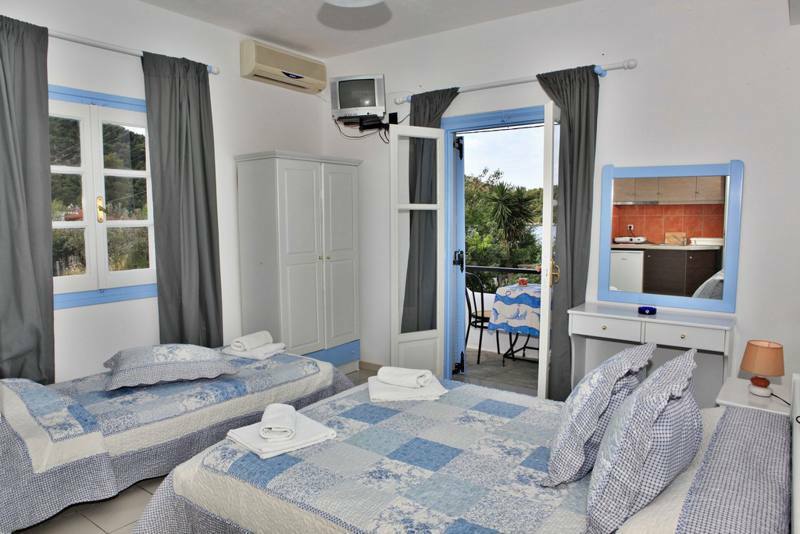 The Anastasia Studios & Apartments have been seated in a perfect location embraced by the green Panormos Bay. 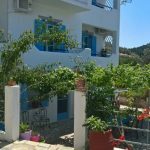 The Anastasia Studios & Apartments are newly renovated with a beautiful decoration consisting of 8 rooms, including 2 double, 4 triple and 2 two-room apartments that can accommodate up to 4 people, all balconies overlooking the mountain and the sea. The Apartments are comfortable and consist of two bedrooms and a single kitchen with a private bathroom. One bedroom at the back of the building has two single beds and a private balcony with mountain views. 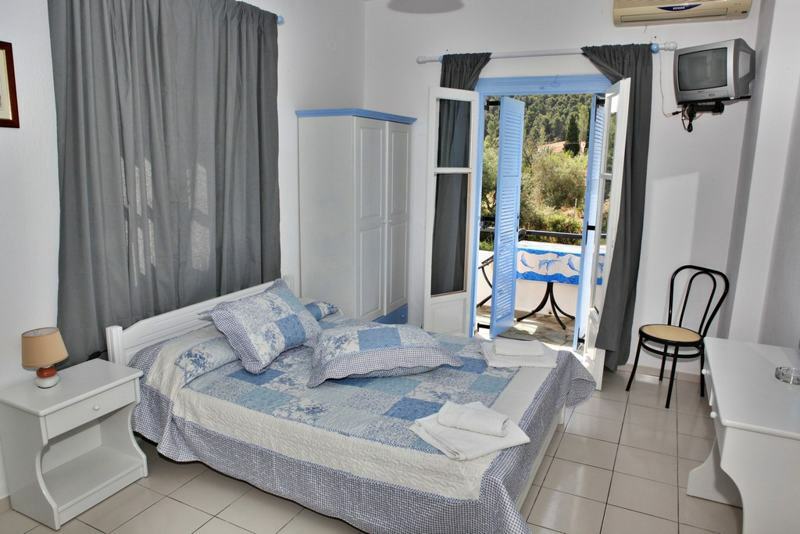 The other room on the side of the building has a double bed and wardrobe, overlooking the mountain and the beach of Panormos. 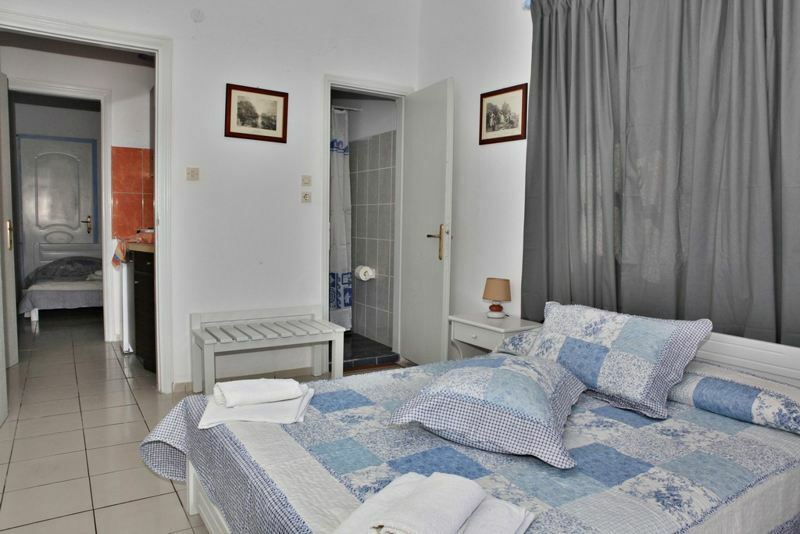 The rooms are comfortable for 2 couples or for a family of four. 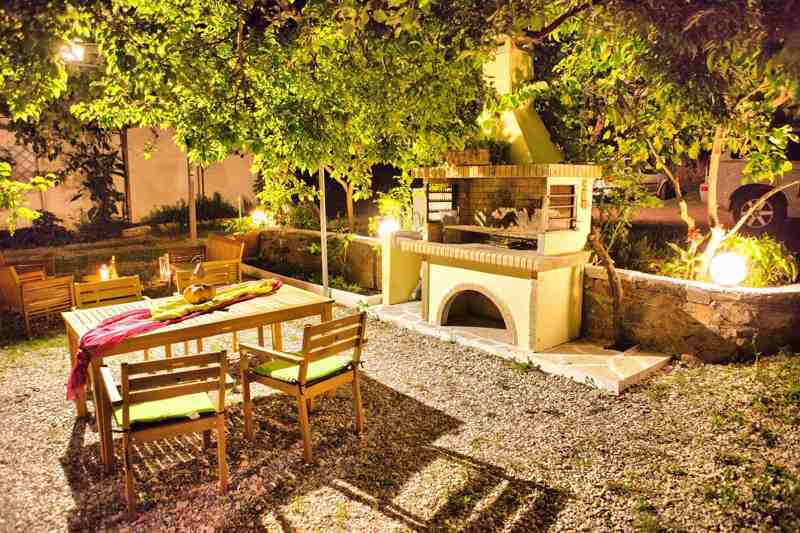 There is a kitchen with all necessary utensils and a refrigerator, it has TV, air conditioning, internet, hairdryer, private bathroom with shower and on the balconies you will find tables with chairs to enjoy the tranquility and the beauty of nature that will enchant you. 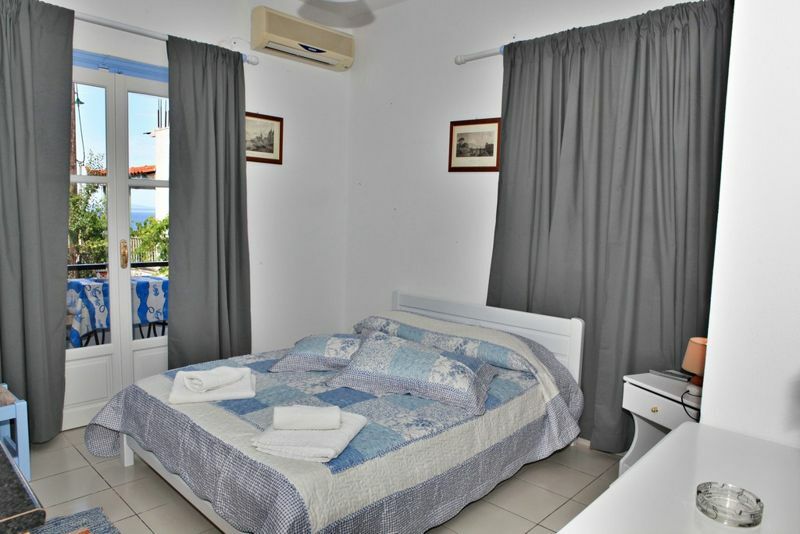 The Triple rooms are comfortable in a room for 3 people with one double bed and one single. 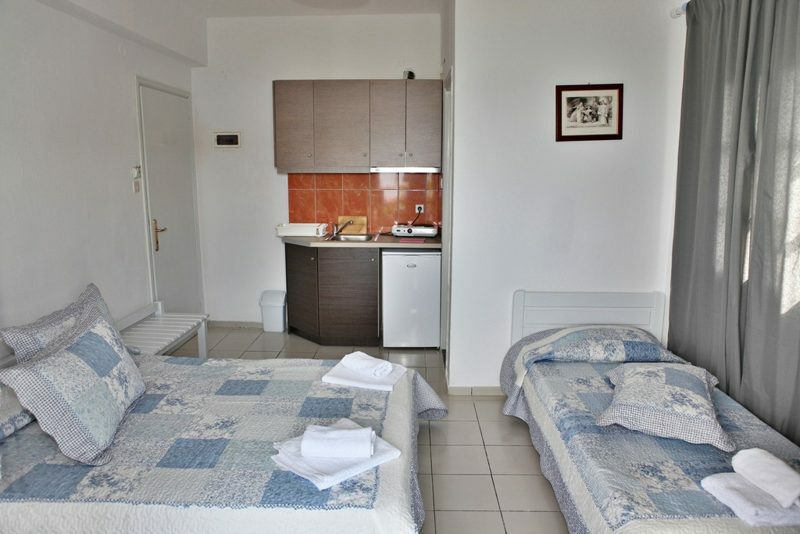 The triple rooms have kitchens with all the necessary utensils for your daily needs. They have a fridge, TV, air conditioning, internet, hairdryer and private bathroom with shower. 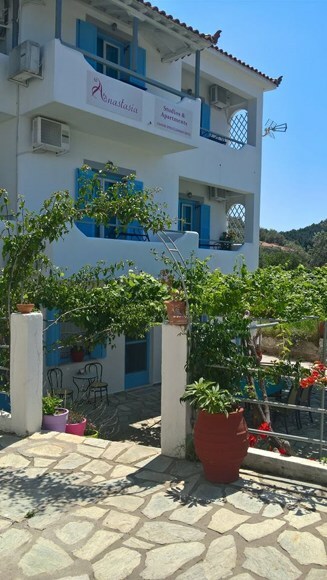 Triple rooms all have individual balconies overlooking the sea and the beach of Panormos. They feature all the table with chairs to enjoy the magic of the view, the morning aura and the wonderful sunsets. 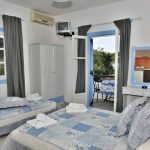 The Double rooms are comfortable for 2 people with a double bed, wardrobe, fridge, air conditioning, TV, internet, hairdryer and private bathroom with shower. 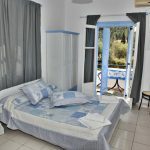 All double rooms have individual balconies overlooking the beach and the green bay of Panormos with endless blue. 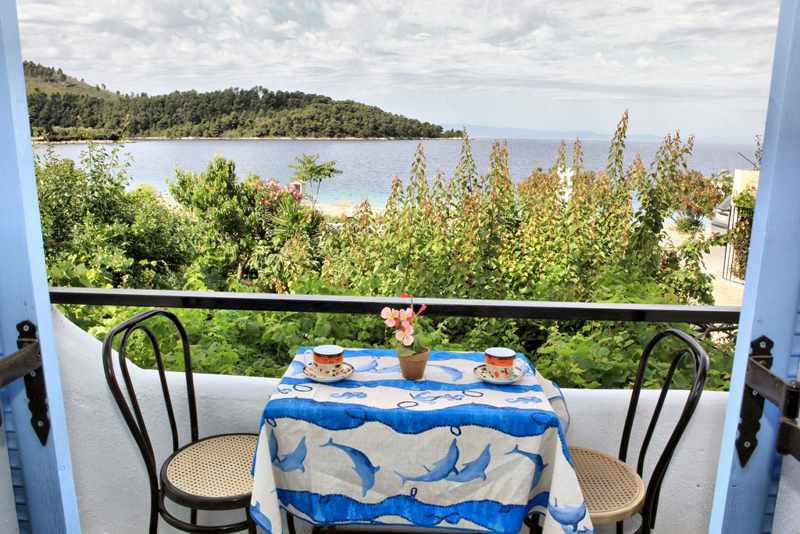 In your private balcony there is a table with seats to enjoy the morning aura and wonderful sunsets. 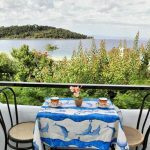 From the balcony you will be able to enjoy the morning dew and the sea breeze while in the afternoon you will be captivated by the wonderful sunset. In the evenings enjoy your walk and taste your traditional tastes or your drink, your sweet or ice cream listening to the wave It boasts on your feet. The area has seafront restaurants and a café bar. On the beach there are sun loungers and umbrellas free of charge. 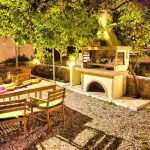 In the courtyard of the building there is a comfortable private parking area and in the garden for those who love the barbeque there is a landscaped space while for the young guests there is a comfortable play area.